Approximately 50% of irrigation water is estimated to be wasted due to evaporation or runoff. This occurs because most irrigation systems rely on simple timers. Regardless of whether a drip or sprinkler system is used, the most efficient approach to irrigation is to use water only when necessary, to use the exact required amount, and to ensure that the plants are watered correctly. 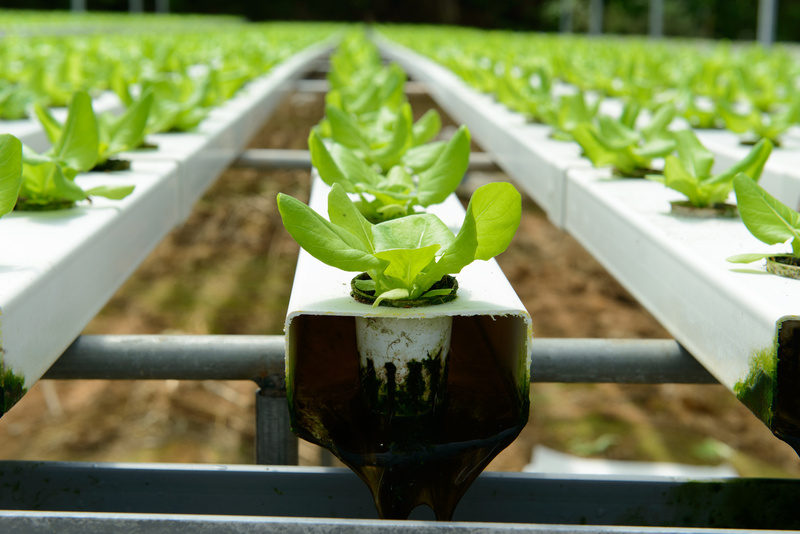 IoT technology provides a more efficient approach to managing irrigation water. With a smart irrigation system, soil conditions can be monitored in real time by using a low-power wireless Wzzard LRPv sensor network. Wzzard LRPv Nodes transmit data wirelessly to a network gateway, which then sends the data to your PC or Internet cloud applications. The most practical gateway would be able to connect via both wired and wireless networks, meaning that sensor nodes can be positioned in most locations. Your software can then combine your data with third-party information such as weather reports from national weather services. This enables your system make intelligent decisions about where and when water should be released and how much should be used. For example, the system could release water immediately when no rain is forecasted; in the event ha forecasts predict rainfall, the system could wait, measure the results, and recalculate the amount of required water. Wzzard LRPv Nodes are placed in the remote areas and connected to sensors such as those for monitoring humidity, temperature, soil properties, and drip/sprinkler controllers. The nodes transmit sensor data via LoRa wireless technology to a SmartSwarm 243 Gateway in a control center located miles away. When the SmartSwarm 243 Gateway receives data sent from the Wzzard LRPv Nodes, it passes data to the PC for application server and SCADA management. Since a single control center might be responsible for monitoring multiple sites, a switch can facilitate collecting and organizing data from many SmartSwarm 243 Gateways prior to passing the data to a PC. With sufficient sensor data, the system can assist in analyzing the current irrigation situation and make appropriate decisions on when and where to release water as well as how much water should be used. Establishing a smart irrigation system to help users control, monitor, evaluate, and make decisions requires some knowledge on the key product features so that the most suitable products can be selected to maximize their benefits. LoRa is a proprietary chirp spread spectrum radio modulation technique for use in a low-power wide-area network (LPWAN). It is a WAN specification designed to enable long-range, low-bit-rate communication among “things” (i.e., connected objects) such as battery-powered sensors, and it uses license-free sub-GHz radio-frequency bands such as 196, 433, and 868 Mhz in Europe and 915 MHz in North America. An LPWAN may be used to create a private wireless sensor network or a third-party service or infrastructure. The Wzzard LRPv Node and SmartSwarm 243 Gateway support wireless long-range network communication without the need to pay telecommunication fees, thus reducing network operating costs considerably. This is particularly pertinent for reducing the cost of flood monitoring because most water bodies are large and do not have control centers located near them. Furthermore, traditional wireless solutions (e.g., access points) have a limited data transmission range and thus force users to adopt an intensive approach to node deployment. Even though cellular routers are unaffected by such problems, they require paying telecommunication fees. IP stands for International Protecting Marking, which is a classification system for rating the degree of protection against hazards such as dust and water. With an IP66 rating, The Wzzard LRPv Node and SmartSwarm 243 Gateway are protected against ingress by and contact with dust as well as powerful water jets. The dual-power design of Wzzard LRPv Node (DC/battery) and SmartSwarm 243 Gateway (solar/battery) also means that users have multiple deployment options. Advantech Wzzard Nodes are ideal for irrigation sites because the presence of water, mud, high humidity, and airborne water droplets/ dust at these locations poses a constant threat. With its dual-power design, the Wzzard LRPv Node frees users from having to install extra cabling and thus reduces costs while simplifying deployment. Additionally, the user-oriented design of the SmartSwarm 243 Gateway ensures deployment is user-friendly. This technology does not mean that you need to replace your existing pipes and pumps—incorporating IoT technology into your network does not render your current equipment obsolete; rather, it simply makes your network smarter. The Wzzard LRPv Node has two power-saving modes: sleep mode (for when a node is not in use) and operation mode (for scheduled data transmissions). For instance, if a node were scheduled to report sensor data twice per hour, then sleep mode would automatically activate when the node is not in use, and operation mode would wake the node when the data must be transmitted, thus achieving the goal of energy efficiency. An alarm system is installed to notify users when a value has exceeded a given threshold. For example, when a flood or storm is approaching, it brings in a tremendous amount of water; in this case, the alarm system will notify users when water levels have exceeded a certain level so that disaster prevention measures can be implemented. Thus, the smart design of the power-saving modes and alarm system reduces costs by saving power while promoting safety by notifying users when emergent action should be taken. 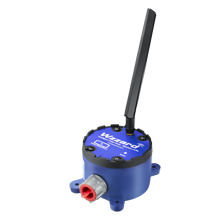 Advantech's Wzzard LRPv solution, a highly integrated LoRa sensing platform for applications ranging from I/O sensor data management to network protocol conversion, can be utilized to form a private sensor network, paying immediate dividends by cutting maintenance costs while increasing overall productivity. Wzzard LRPv network gateways connect to your application server or SCADA for data access using the MQTT protocol via either an Ethernet or wireless data network. The described features make it possible to place sensors and Internet gateways in locations where AC power or wired Ethernet is unavailable, and the high flexibility of the dual power-saving modes and alarm system can minimize costs by conserving power and preventing disasters.